During the October 2016 Second Sundays open house at Pioneer Works, artist-in-residence Xu Wang discusses the projects he has been working on during his time in Red Hook -- such as his study of soil project, in which he makes his own clay and uses the handmade material in ongoing portrait sculpture works. Xu Wang (b. 1986) is a New York and China-based artist born in Dalian, China. 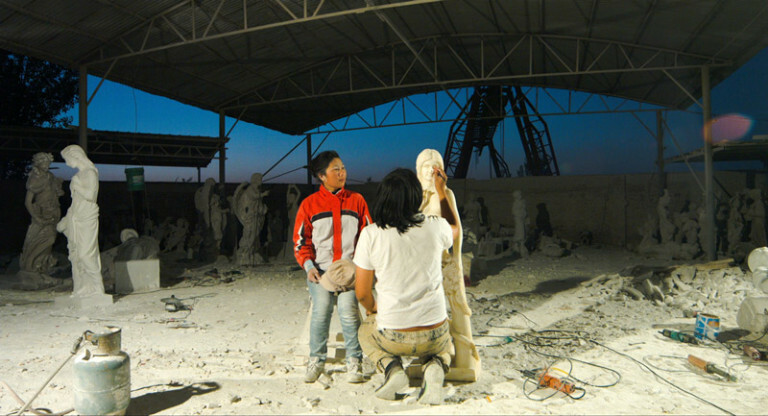 Wang works predominantly in sculpture and video installation in addition to drawing and performance. Wang’s shows include A Frame Apart, Queens International 2016 Short Film Program, Queens Museum, Queens, NY (2016); Flaherty NYC, Anthology Film Archives, New York, NY (2016); This one is smaller than this one, Postmasters, New York, NY (2016); In Response: Repetition and Difference, Jewish Museum, New York, NY (2015); and Under Foundations, Sculpture Center, Long Island City, NY (2015). His residencies include The Shandaken Project, Storm King, Mountainville, NY (2016) and Pioneer Works Residency Program, New York, NY (2016). Wang holds a B.F.A from Central Academy of Fine Arts Beijing and an M.F.A from Columbia University.